Britain has made numerous mistakes over Brexit, but the European Union’s record also needs to be analysed. 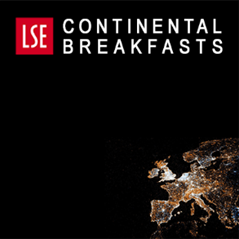 In the first of a three-part series, Tim Oliver (EUI/LSE) looks at some of the things the EU has got wrong about Brexit. For an organisation so often the focus of criticism, the EU has so far been largely applauded for its approach to Brexit. Compared to how it has handled the crises in the Eurozone, Schengen, or relations with Russia, on Brexit the EU has appeared united, focused, and well prepared. Of course, the UK government and British Eurosceptics would be the first to disagree. But if the EU’s approach has received little by way of critique, that is largely because the focus has been on Britain’s dire handling of Brexit. David Cameron’s decision to call a vote has been the subject of much criticism. 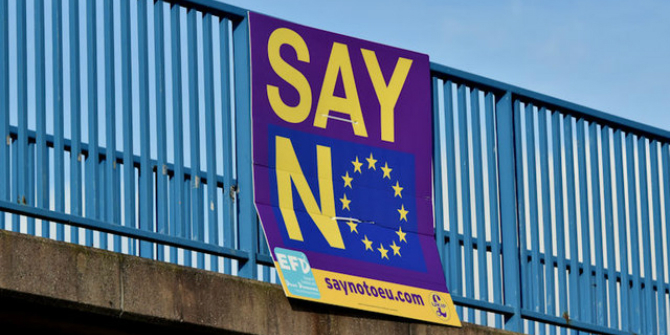 The referendum campaign and the longer-term approach of British politicians and decision makers to EU-membership have been the subject of much-heated discussion. Britain’s strategy for handling Brexit, or complete lack of, has been widely ridiculed. It has turned Britain into a country of lions misled by donkeys. Things have been so bad that some civil servants are reported to have outlined their concerns to ministers so as to ensure they had a defence in any post-Brexit inquiry into why things went wrong. British Eurosceptics will find few crumbs of comfort here to make up for Britain’s own failings. That does not mean, however, that the EU’s own approach should be spared from critical analysis. As an unprecedented experience for the EU, Brexit needs to be examined from all angles. Before the referendum, a taboo surrounded discussion of the idea and challenges of a member state withdrawing. As I will cover in the second post in this series, that taboo was a mistake. It would be a similar mistake to now think the EU is immune from criticism as to how it has handled Brexit. That comes with the caveat that because Brexit is an ongoing process, the full implications of the mistakes made by either side can only be truly assessed in hindsight. These posts are therefore offered as food for thought as the EU and UK come to terms with Brexit. The EU’s mistakes on Brexit can be broken down into three groups: misleading Britain over its place in the EU; misinterpreting what Brexit means; and mishandling how Brexit has been negotiated. In the next two posts I will discuss the latter two, but in this post I outline an important starting point to how many people view the EU’s approach to Brexit. Whether the EU has been too harsh or too lenient towards the UK defines how many people view the mistakes the EU has made on Brexit. Those supportive of the former, view the biggest mistake as the EU’s failure to adapt to keep as large and important a European state as the United Kingdom inside it. This line of thinking would see the UK-EU renegotiation that preceded the vote as a missed opportunity. This was especially so on free movement, a topic many elsewhere in the EU were concerned about. While there were concerns about opening the Pandora’s box of a treaty change, the refusal to contemplate change on free movement also reflected a deeper desire in Brussels to harmonise and centralise. Repeating ad nauseam that the four freedoms – free movement of goods, services, capital and labour – were indivisible, ignored that the degree of application of those freedoms can vary. More broadly, the failure of the renegotiation – indeed, its very need – tells of how the EU has struggled to accept that some member states such as Britain would never join projects such as the Euro. Ideas of a multi-speed Europe or differentiated integration have been much spoken about and discussed, but to some extent, they are still underpinned by an assumption that integration will move forward. That approach was bound to marginalise a member state such as the UK. On the other hand, those who feel the EU was too lenient argue the mistake was in not being strict enough with the UK, allowing it to become the spoilt child of European integration. Britain is not the only member state that has been awkward, with a public uneasy at the pace of European integration, or to have secured opt-outs and special deals for itself. But Britain secured more than anyone else, and in doing so created an expectation amongst its decision makers and a public that it could and would be treated differently and so could always ask for more. It was only a matter of time before Britain asked for more than a union of twenty-eight member states could collectively agree to give. The irrelevance of the renegotiation in the referendum campaign showed that point had been reached. The EU’s mistake was allowing such a situation to develop when it should long ago have made clear to Britain that it should put up or shut up: leave the EU or come to terms with the compromises inherent in any such union. The above dichotomy not only defines what mistakes people think the EU made that helped lead to Brexit, but also influences how people view the EU’s interpretation and implementation of Brexit. 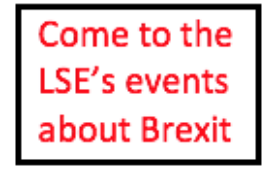 This article also appeared on the Clingendael blog and it gives the views of the author, and not the position of LSE Brexit, nor of the London School of Economics. I raise the question of the failure to renegotiate on free movement with a German and his explanation was basically as follows. Firstly, a common complaint among EU members is that migrants abuse the local social welfare system, and the EU has made a lot of reform in this area in the last few years. When I explained that this wasn’t well understood in the UK, he was baffled, Germany no longer has any concerns in this area. Secondly, the EU provides a host of ways to restrict freedom of movement, which countries like Belgium rigorously impose; he was relatively comfortable with how they’re applied in German. The UK is well known for not imposing any of the existing restrictions on freedom of movement, thus was not granted any additional restrictions. And finally, when I raised the particular concern about freedom of movement in relation to the European Refugee Crisis, he was baffled. Refugees are not EU citizens, and are unlikely to be granted citizenship in the foreseeable future, therefore have no right of freedom of movement and should simply be deported. Deporting illegal refugees is relatively common in Germany, but unheard of in the UK. In the light of the Windrush Scandal, the idea that the UK’s handling of illegal immigrants is somewhat farcical is really quite credible. Yes, the United Kingdom’s unwillingness to impose the restrictions on freedom of environment allowed by the EU was certainly baffling to many. Given the number of exceptions made for the UK: I don’t see that the EU has struggled with the idea of the UK not joining in projects such as the EU, and it’s difficult to see why the UK government wouldn’t understand it’s position in the EU. From a negotiators’ perspective you must wonder what more to offer the UK on, for instance, border control when they have not made use of what they already have. The restrictions allowed on FoM are based on the wording which allows free movement to work. The UK did not apply the available constraints as they would have had little effect. Most EU migrants to the UK come here to work with negligable numbers here to live on benefits. The UK has an elaborate system of in work benefits which must be paid equally to all by EU law. It is a basic and understandable rule of non discrimination. As low paid eu migrants were in work no FoM restrictions that are allowed would have had any effect other than possibly public opinion. Correct. The only change the UK government could have done is to change our access toin work benefits to a European model of one where you have to have paid in for a number of years or be resident in the country for a number of years. As you sated Freedom of Movement is actually freedom to access the welfare state of another EU nation if you work or are self employed. In the UK this means tax credits, free health and access to social housing the day you start work. This is not the case in a lot of other EU countries and in the case of Germany it is not the case in Germany even though it is being tested in the courts of law. Lets see what the ECJ make of it. 1. The UKs negotiating position was sabotaged from the off by the EU Quislings in parliament & Lord’s. 2. The current EU parliament was formed on a turnout of 43% of the EU electorate in 2014, of which 1/3 voted for Eurosceptic parties. Apart from the fact the next MEP elections will be hilarious since Merkel decided to flood Europe with economic migrants, the EU’s mistake (not including failed single currency or free movement experiments) is assuming they have the support of the European public to do whatever they want! The unelected commissars have shown they are willing to blindly crush & subjugate their own nations economies in the pursuit of a federal Europe & they will further destroy the EU economy by attempting to punish Britain for leaving. The Irish economy is in dire trouble from likes of CCCTB anyway let alone from the EU’s Brexit plan & Leo is helping his own nations downfall! Brussels is putting the final nails in it’s own coffin. At least Selmayr got his job fairly!! … Oh wait! Its irrelevance was due to its poor campaigning value. The only substantive concession was to the agreement not to discriminate against member states on the basis of their currency. Most members of the uk public were unaware this was allowed and to highlight it would only have brought attention to the fact that the commission had introduced a directive for the sole purpose of taking a major industry away from the uk. Even the wording of the negotiation was an embarrassment, saying that it granted the uk permission to ‘ask’ if it could restrict in work benefits to eu migrants. It sounded so bad the commission was forced to publically state it would consider the request favourably. The renegotiation received a lot of publicity but look at the leave vote and you discover that half of it was primarily motivated by Brussels form of democracy. It is here that the EU made its greatest contribution to the Brexit cause. When Spitzenkandidaten was proposed and rejected, both in the EU constitution and Lisbon Treaty its proponents decided to attempt to promote it with EU voters. They did this by holding a televised debate between the leaders of the political groupings. The idea of Spitzenkandidat was that the leader of the winning group in the EU elections should become the commission president. The hope hope was that voters might like the idea and this could be used to pressure the eu council into accepting it. The BBC asked the organisers about televising it but on learning it was just a demonstration of a proposed system and that the ‘winner’ was a forgone conclusion (Juncker) who could not even be voted for in the UK they decided not to. After being appointed commission president Juncker stood in the EU parliament and declared himself the first elected holder of that role with a mandate to pursue his own policies rather than those of the EU council. I would not claim that many in the UK followed these events in detail but most watched Cameron’s ultimately futile attempts to stop Juncker. Many criticise Cameron for holding the referendum but I believe him to have been correct in the need for the EU to change course. Support for anti eu parties is growing across europe, they may even have the majority of MEPs after the next elections. Just Italy alone may be enough to prevent the reforms needed to ensure the Euro can survive another financial crisis. Juncker epitomised everything the UK disliked about Brussels, I believe his appointment was the deciding factor in the referendum. Whatever troubles the EU experiences in its immediate future I believe historians will look back and identify Junckers appointment as the fundamental error that precipitated it.